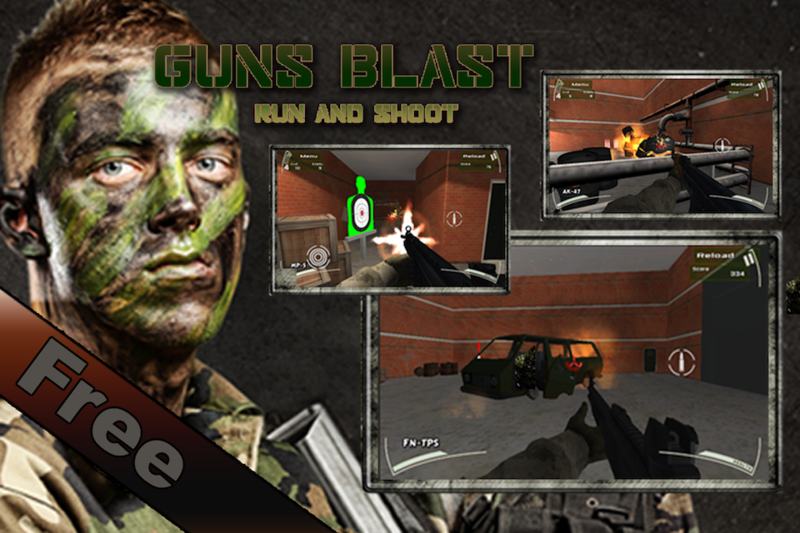 Guns Blast is a really special and realistic shooter game, in which you are able to choose a lot of different weapons like Assault Rifles, Sniper Rifles, Handguns, Shotguns, Machine Guns, Sub-Machine Guns, etc. 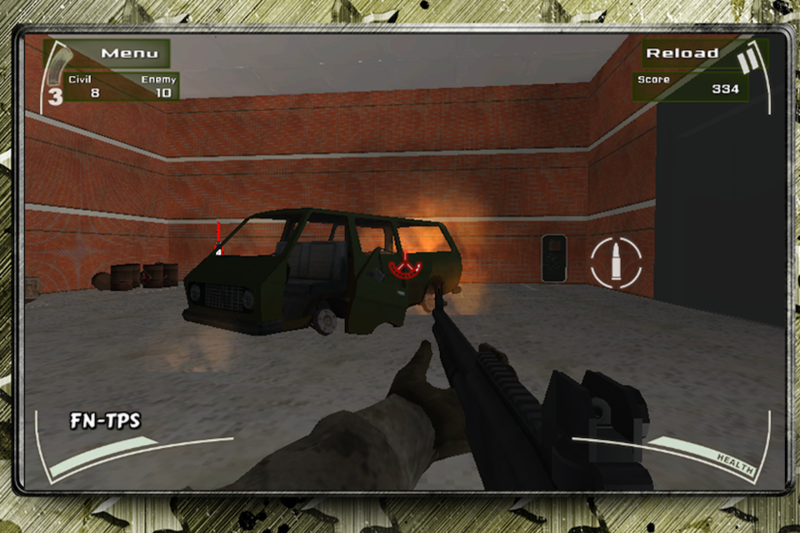 You will be a selected soldier on a special counterterrorist training. Your battlefields will be a big warehouses (storehouse) full of boxes, cars, platforms, metal barrels, etc. 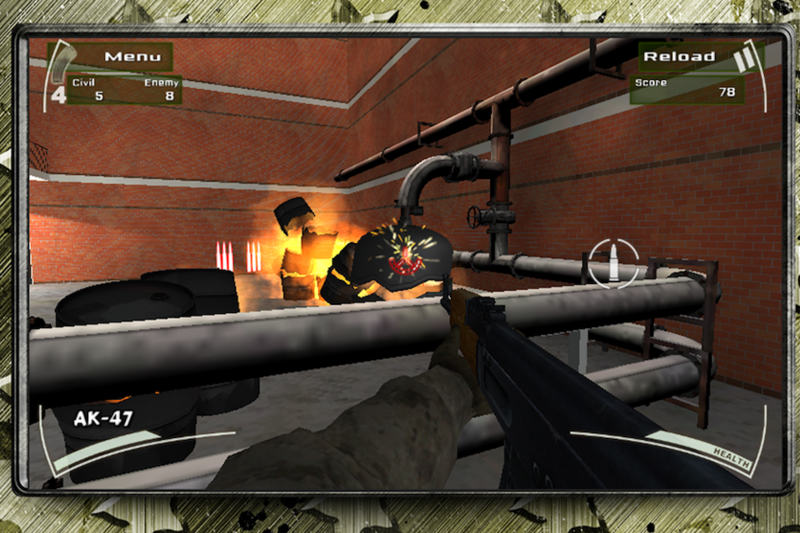 Your mission is to discover all the hidden terrorists (enemies) and shoot them down without hitting the civilians. 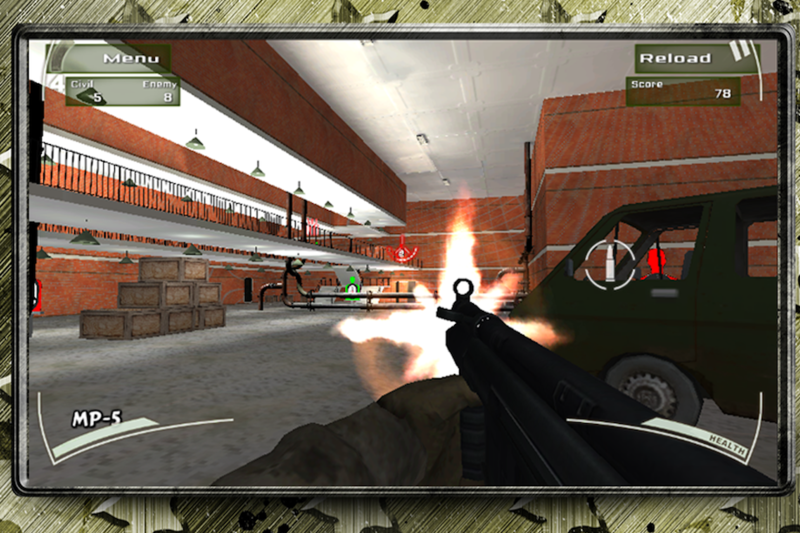 Run through the warehouse and shoot all the red shadow targets down in the shortest time possible. If you should empty all the magazines of one gun, look for the red bullet spots to reload them. Become a real hero and show them who the boss is. Use the virtual joystick to run through the environment and coordinate your movements (orientation) by sliding through the screen with another finger. Aim at your targets and fire by simply taping on the bullet button. You have the possibility to fire with all the guns and destroy many things. Pay attention some of them could explode and kill the civilians represented from the green shadow targets etc. Train yourself and get ready to put an end to the eternal war between good and evil. If you like modern shooter games and to blast things away then this is exactly the right game for you. As this game does not present any blood or death scenes it could be played also by people that are more sensible to violence. This is one of the best free gun applications of the mobile world - download the ultimate gun app and start an exciting adventure!